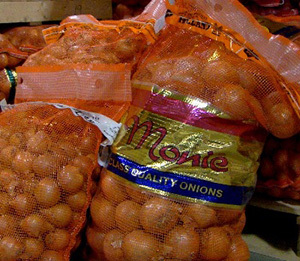 Monie provides onions in a lot of different packages: from 500 gram pre-pack units up to 1.200 kg "Big Bags". 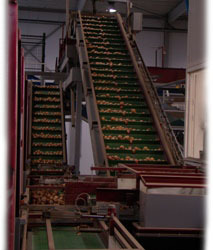 Our yellow onions can be packed in our well-known orange "Monie First Class Quality Onions" bags with a golden band. 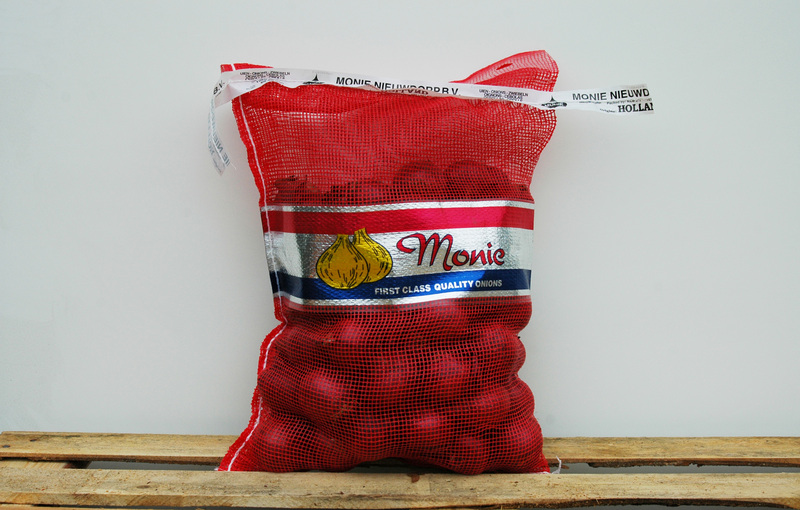 Red onions present themselves superbly in the red "Monie First Class Quality Onions" bags with a silver band. 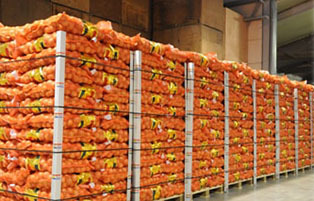 Ofcourse we are capable of packing every thinkable sorting and weight in every packaging. 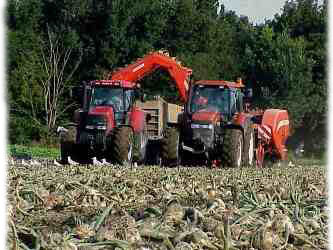 If you prefer for us to pack the onions in your own packaging, we are ready to supply our onions in your bags, with your own label. We have been supplying a lot of exporters for many years this way, and we can promise a product you can trust and which reinforces your image! 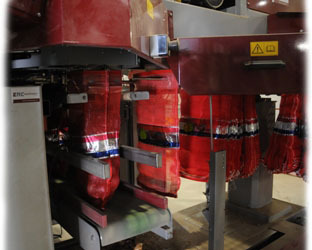 Monie provides pre-pack in 0.5kg, 0.75kg, 1 kg, 1.5 kg en 2 kg. 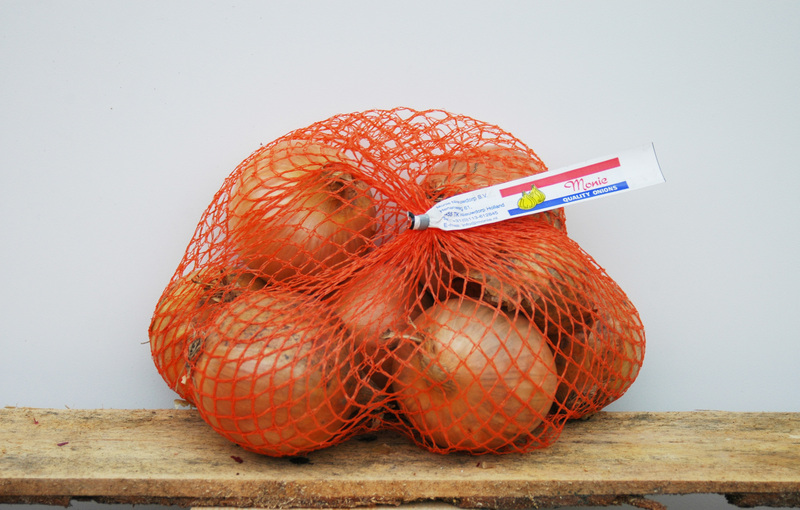 The onions are precisely packed in labeled net-packagings. We can provide "bottle neck labels" (40mm) and standard labels (19mm). With special labelprinters, we can provide every text, barcode or logo you desire. 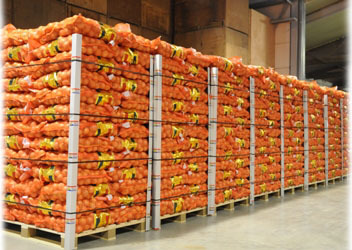 Both yellow and red onions can be pre-packed, even in crates cardboard boxes. 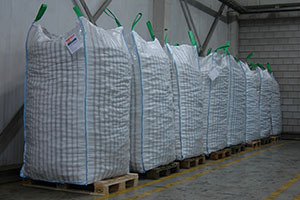 Normally we pack the net-packagings per 60 bales of 20 kg per pallet. If you have suggestions or special wishes for your product, do not hesitate to contact us, as we love to help you finding the best solution. 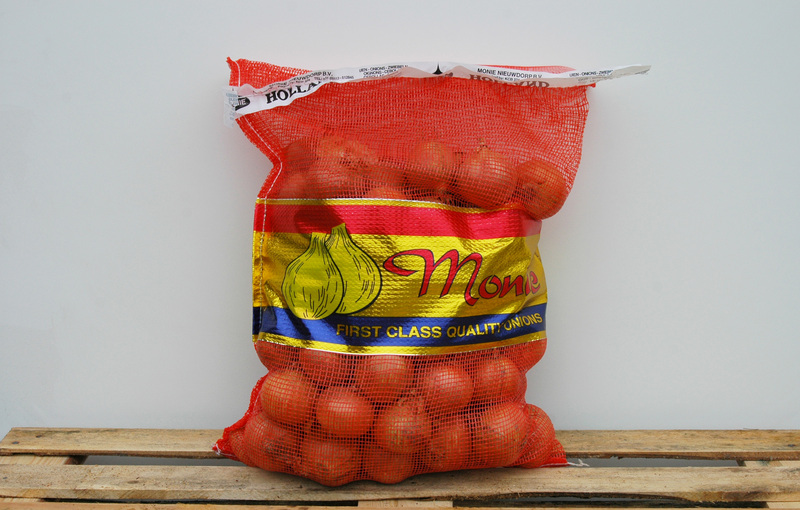 We pack our First Class Quality Onions in these beautiful bags with a golden label. 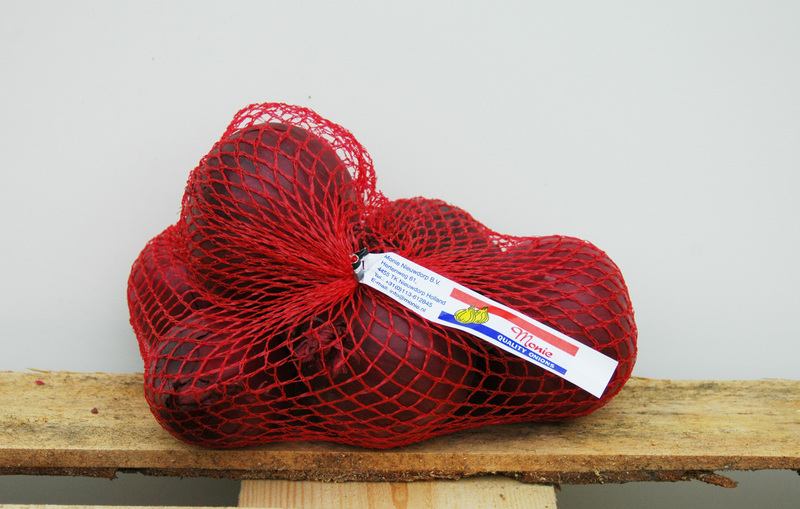 These onions of great quality present themselves very well in this beautiful bag. Besides this 19,1 kg version, we can provide a larger bag which can contain up to 25 kg. The biggest bale in the house is the 25 kg bale, here palletised on a wrapped pallet. Pallets can also be provided with corner supports, and even in a combination of both supports and wrap. The "Big Bag" is, as it's name suggests, our biggest packaging option. 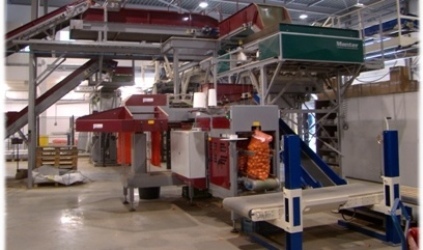 This heavy-duty bag can contain up to 1.200 kg, in every sorting of both yellow and red onions.